Growing up, our mothers may have scolded us to “sit up straight!” And of course, we’d roll our eyes and just sit up in our chairs without ever asking why. So, we may have grown up knowing that sitting up straight was what we were supposed to do, but we never really got any explanation why it’s good for us. In the past, we wrote a blog on the negative effects of bad posture, so I decided to investigate the benefits of good posture. What I found surprised me! We’ve all heard the saying “fake it ’till you make it.” Turns out, this is possible! The University of Auckland conducted a study to further investigate the effects of good posture on mental health. They concluded that individuals who sit with an upright posture were all-around more confident than those with poor posture. So, sitting confidently can result in feeling more confident too! Not only that, but good posture also leads to a better self-image! 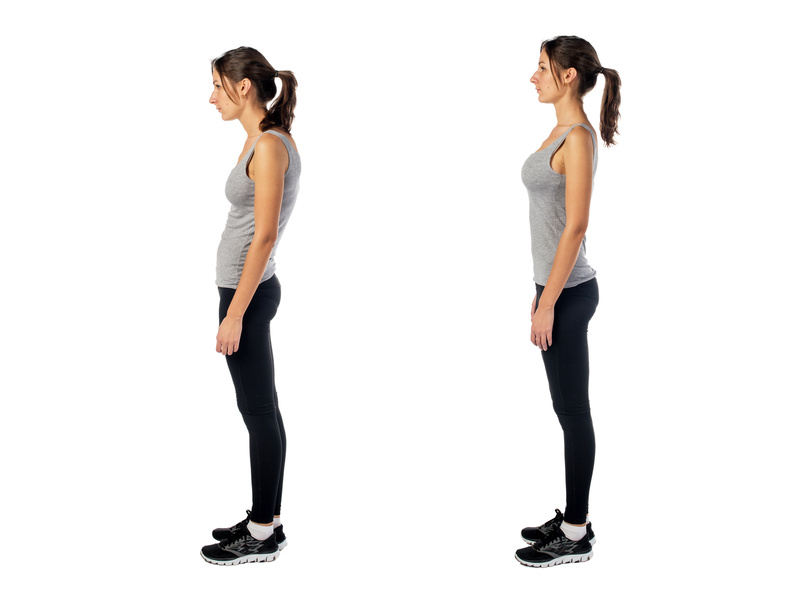 If you were to compare a photo of yourself slouching to a photo of yourself standing straight, chances are, you’d feel better about the way you look when you have good posture. Sitting up straight can also make you look taller and thinner! One reason that yoga has such positive effects on your body is that it encourages good posture and allows your intestines to not get obstructed, giving you to abilities to have more healthy bowel movements. When you slouch, your insides also get squashed! To avoid uncomfortable (and embarrassing) constipation, the secret could be as easy as adjusting your sitting patterns. Who knew that powering through your workday could be made easier by something as simple as fixing the way you’re sitting? If you sit at your desk with proper posture, your body will expand and send signals to your brain that you’re in a stance of power. Sitting with good posture improves our breathing which, in turn, allows more oxygen to reach the brain, further improving our concentration. Not only that, but your boss may even think you’re more a more vital and motivated employee if you’re sitting in your chair with good posture. So, if you’re trying to land that promotion you’ve been after, sit up straight! Harvard University conducted a study that found people who had more “powerful” postures saw a 20% increase in testosterone levels and a 25% decrease in cortisol levels. On the contrary, testosterone levels were 10% less and cortisol levels were 15% higher in the people that slouched in their seats. What does this mean? It translates into lowered self-esteem and high levels of stress. Sitting in a “compounded position” also effects breathing because the shallow breaths cause the heart to strain more during breathing and then the heart is forced to pump faster, causing a highly stressful experience. It’s rare to see someone with good posture lacking in confidence. When we sit up straight, we are more likely to think of positive thoughts or form positive memories. So, something as simple as taking the time to adjust to a more upright position can improve your mood and energy levels. Studies at Harvard and Columbia Universities have shown that unconsciously good posture can affect our decision-making. People with good posture were 45 percent more likely to have the confidence to go in on risky bets. Additionally, even if you don’t necessarily feel more powerful from sitting up straight, others will perceive you as a stronger and more in-control individual. Well, I guess our moms were right! We really all should be sitting up straight. Who knew that there were so many benefits of good posture? It has substantial influences on our health, happiness, and even careers! 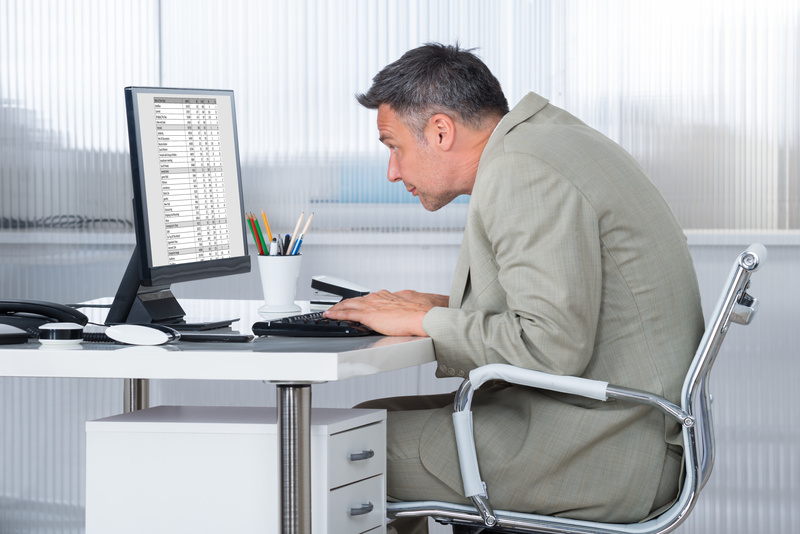 Did any of these benefits of good posture surprise you? Share your thoughts in the comments below! And, as always, head to AlliedTravelCareers.com to find the country’s top travel allied health jobs! Since I started my chiro session, I noticed a huge difference in my posture, which helped me become more productive and less tired. Having good posture has many benefits. Unfortunately, most of us take them for granted because of our lifestyle.